It's that time of year again, when I go into a solid month of trying to write 50,000 words. I have a really fun book idea this time around, so I expect to do well. I won't give away too much too early, but it's a science fiction novel in the vein of The Ship of the Unforgotten. This one is called Instansit and centers on the difficulties experienced by the crew and inhabitants of a generation ship that faces a voyage that lasts not just centuries, but many millennia. Wish me luck, get ready to read more from me than you've gotten in a while, and please consider helping me out through my Patreon campaign! Thank You, Night Attack Show! My friends over at the Night Attack Show gave Fiction Improbable a really fantastic shout-out on their second episode this past Tuesday night. I knew it was coming; it was part of their Diamond Time ad segment, when they promote projects undertaken by their many fans. I didn't expect such glowing words of praise from both Brian and Justin though, so let me return the favor. Night Attack is a brand new independent show, at the time of this writing having only two episodes produced to date. It is a direct continuation of a previous show though, the NSFW Show that Brian Brushwood and Justin R. Young produced on the TWiT network over a number of years. The new show ties in with a series of Billboard chart-topping comedy albums they made under the Night Attack name. Night Attack (both the show and the albums) is REALLY funny, but do be warned; there's a reason it was spawned from the ashes of a show named NSFW. The humor can be very unsafe for work. Do check them out, if that warning isn't enough to put you off! Episode 2 with my shout-out is below; you'll hear it right towards the end of the episode. I'm pleased to report that a much-polished and improved version of my science fiction short story Ad Eyes is available now for free in Foil & Phaser's Divide and Conquer eBook anthology of science fiction and fantasy! Ad Eyes is a disturbing story the war for advertising attention taken to scary new heights, as Terry finds himself fighting to take his eyes off of just about every ad he comes across in his daily life. The anthology contains a number of other fantastic works of sci-fi and fantasy as well. 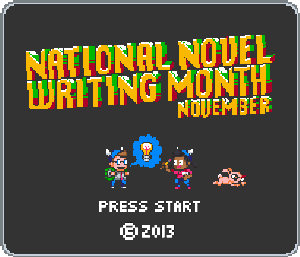 It's the product of Foil & Phaser's NaNoWriMo collaborative workshop effort, and all of the collected stories are well worth your time and attention. Divide and Conquer is available at Goodreads and at Smashwords. Well, it's official. I am one of those guys. You know those actors who say they can't watch themselves, or radio people who can't listen to themselves? I can't listen to myself. At least, not when I'm listening to myself on a giant huge amazingly popular podcast like Current Geek out of the Frogpants Network. I have posted an audio book version of this story before, but the one on Current Geek is an all new recording I created thanks to a new and MUCH better microphone that I got over the holiday season. I'm pretty proud of how good it sounds, and I'm much more proud that Scott liked it enough to include it in his show. 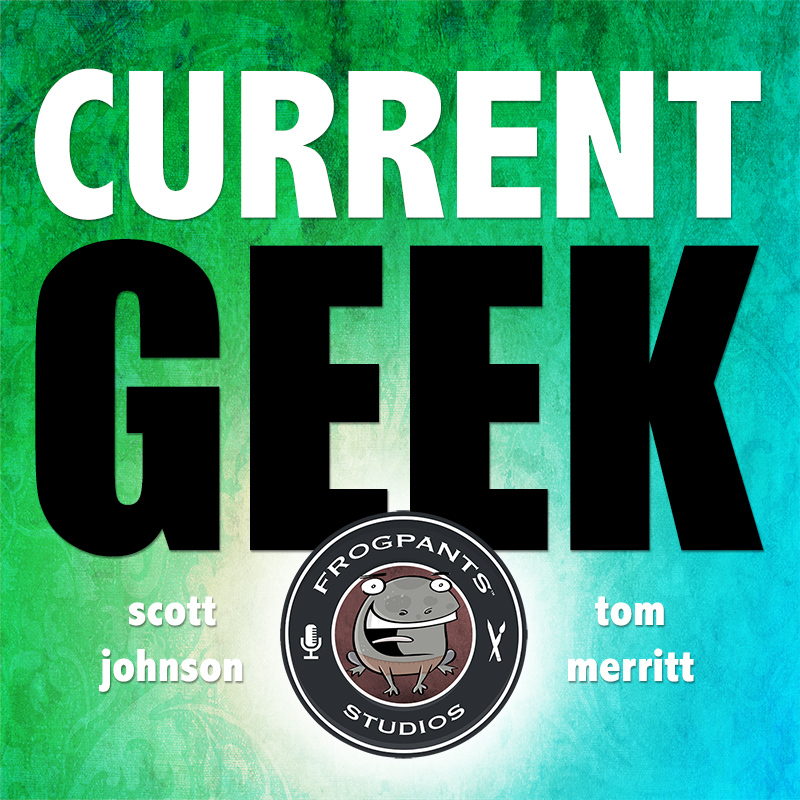 A few weeks before they launched Current Geek, Scott and Tom got together on a Google Hangout to discuss ideas for the show, and this came out of that. They'd discussed the possibility of including other people's audio podcasts in the show as a way of getting more content for them and more exposure for the contributors. I don't know if they'll be interested in having more of my stuff go up there, but I'd be thrilled to record more; I plan to whether they want to use it or not. Maybe if they get enough good feedback, they'll be kind enough to give me another try! Thank you Scott and Tom; even though I apparently can't stand to listen to myself on Current Geek, the rest of the show is amazing! To all who wrote, congratulations! I did take part, but did not finish this year. I focused my efforts on a side-project spearheaded by Foil & Phaser, the fan-run writing counterpart to the Sword & Laser podcast.